What a Journey, Man! He's been a young gun and a has-been. Then Vaughn Taylor, 40, won at Pebble Beach and took on yet another role: comeback kid. You were 447th in the world when you won at Pebble Beach in February, your first victory in more than a decade. Was that more elation or relief? It was a relief—and disbelief. I went from not knowing where I was playing to having that completely turn around—now I was getting in all the big tournaments, a couple of majors, Augusta. It was hard to believe. What a year. Your win came with your Tour card. Was it difficult to remember which courses you tended to play well, having not been a Tour regular for several years? Oh, I remembered. I'd had a good run at Bay Hill and Hilton Head, and I'd played well at Tampa and the Memorial. You'd been in a bad slump. What changed at Pebble? I'd been working very hard on my swing and my fitness. And I had this amazing focus. I could feel a different energy inside me. I was doing a little bit of everything well: hitting it well, putting great all week. 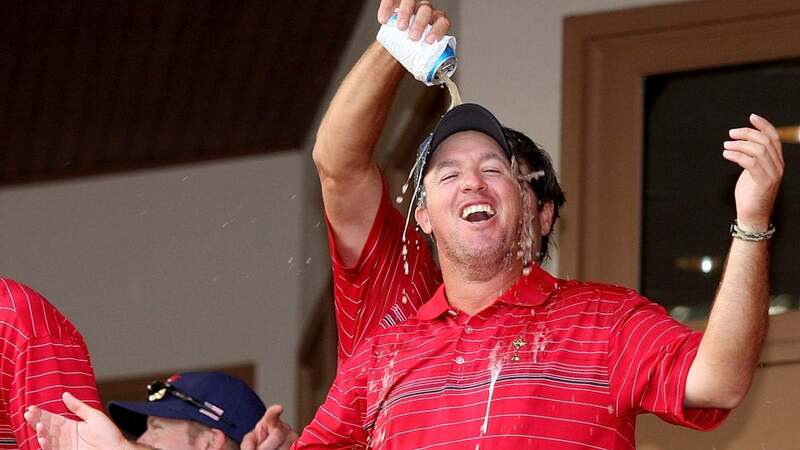 You were a rising star when you won the Reno- Tahoe Open in 2004 and "05. But winning at Pebble—and beating Phil Mickelson by a stroke—must have felt like a whole new level, right? Reno's a great tournament, but it was always opposite some other [Tour event]. And the AT&T Pebble Pro-Am, I mean, everyone's watching on TV, and it's pretty cool to win there. I remember so many details of that day. I remember every shot, and everything is so clear, so great. I'm going to hold those memories forever. And getting invited to Augusta, well, the Masters is like the Super Bowl. You went to Pebble as an alternate, and only got into the event when Carl Pettersson withdrew. Had you come close to quitting? This game can break you down. I cried so many times on the course when I was struggling, not playing well. I tried my best to hide it, but I cried. It brought me to tears. I would think, Why is this happening to me? I tried to commit full-time to the Web.com, and I wasn't playing well—I was struggling. It was 2014, and when you play on Tour for a while and you go back down there, it's a process to figure it out again. The courses are different, the atmosphere is different, and the towns are different. I felt more comfortable on Tour. I finished, like, 43rd on the Web.com money list that year, and I thought, Am I gonna do this for the next 10 years, just waiting on the senior tour? You're 40. That would be a long wait. [Laughs] For sure. But I kept working hard [and] started to play really well in 2015. I was thinking, Hey, I'm coming back. I played, like, 12 [Tour] events, and had a chance to get inside the top 150 on the money list at Wyndham when I got to the par-5 14th, an easy, reachable hole. I butchered it, made bogey. Then I bogeyed 15 and 17, just leaking oil all over the place. I made par on 18 to finish 151st in money. So close. I was less than a full stroke from getting conditional Tour status. That was just so painful. You're back on Tour now. You live pretty close to Augusta, and you have deep roots in the area. In 2016, you played the Masters for the first time since 2008. Had you teed it up there during those wilderness years? Not at all. I'd drive by occasionally. I was hoping not to play it in hopes of sparking the fire, wanting to get back. So I stayed away. Then in 2015, my wife and I took our son to a practice round. Was it weird to watch other Tour pros practice, with you as a spectator? Not as weird as I thought it would be. But we didn't watch a lot of golf. Our son was almost 2, and we were chasing him around more than anything. Going there as a kid and growing up nearby, [going back] made me feel like a kid again. It inspired me to get out there, smell it, see it, feel it. How did your family react to your win at Pebble? They were excited. My mom, Lynn, was in tears, and my dad, Jack, wore the biggest smile. My sister, Anne, sent me a picture of my mom. She happened to be in town that weekend at my parents' house, and she turned around and took a sneak picture of them watching the telecast. And now you have your own family to root you on. My wife, Leota, is my rock. She keeps me going. And we're lucky to have Locklyn with us. Winning at Pebble, I did it for them. It's all for them.